As I write this, these people have put Answers in Genesis, the Ark Encounter, and the Creation Museum (and a guy named Ken Ham!) in the national news once again. We made the headlines on various news websites. Even an Associated Press article was syndicated about AiG and the FFRF. It appeared in news outlets across the nation (and the world). Fox and Friends TV commentators talked about it on a live program. It’s also been a lead story on the Fox News website and on various social media platforms that have featured blogs, tweets, and other posts about the FFRF’s latest attack on AiG. I’ve been interviewed for a number of live and recorded radio programs discussing the issue. Now this media attention has happened many times before for AiG—and no doubt it will happen again—because these stalkers just can’t help themselves. Their reasons go deep—really deep. But God has used this latest issue for good over and over again. The stalking by secularists really began in earnest in 1996 when we announced AiG was rezoning land to build a Creation Museum. A local atheist group went berserk. How dare we build such a place! Suddenly, without any effort on our part, we were thrust into the media spotlight. One of the arguments an atheist attorney used against us at a public rezoning meeting was that building such a museum was against the so-called “separation of church and state.” OK, let me get this straight: we were building a Creation Museum on private property with private funds (from our supporters), but that was somehow against the law and the Constitution? Now because of the opposition stirred up by this small group of atheists, local officials ruled against our rezoning, and we had to find a different piece of property. But God was in control. We ended up with a far superior piece of property that was right off Interstate 275, where the Creation Museum is located today. Just as important, because of all the opposition, our support base—people like you—grew exponentially. Many people donated specifically to the museum because of this opposition and news coverage it received. In fact, one family contacted me while I was speaking in Australia and said we must be doing something right to stir up such opposition. 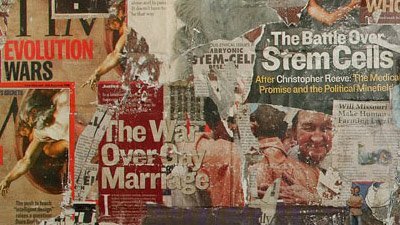 The family had been reading the newspapers about those who opposed God and our museum, and they gave a million-dollar donation to the Creation Museum project! The stalking has continued, and it’s not just from local atheists. National atheist groups and individuals across the nation and around the world are now stalking us. They protested outside the Creation Museum when it opened in 2007. They vehemently opposed the Ark Encounter receiving the same tourism incentive other attractions receive. These groups protested the opening of the Ark in 2016, and they continue to protest at the Ark each year. 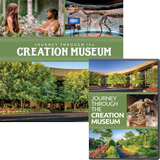 These anti-Christian organizations spread false claims that the two attractions (the Ark Encounter and Creation Museum) are failing. (By the way, if we’re supposedly failing, why would they even bother with all their activism?) All this opposition results in more publicity for AiG and more people finding out about our attractions and coming to visit. We couldn’t afford to pay for such widespread marketing! 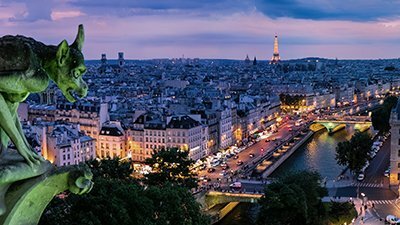 With all the secular attractions and secular museums (usually tax-funded) in the USA and around the world, these atheists are deeply troubled by two Christian attractions that use stunning exhibits to proclaim biblical history and the gospel message. It would take pages (actually a whole book!) to detail all the secularist opposition. But here, I’ll just share some events that have led up to our reason for being in the news—again! Some background first. You have probably heard of the Freedom from Religion Foundation. The FFRF is a group of anti-Christian atheists. Also, the American Atheists (AA) have been aggressive in their attacks against AiG. Such groups are well known for using fear-mongering, bullying, and strongarm tactics to intimidate public schools, local authorities, government officials, and so on against Christians. 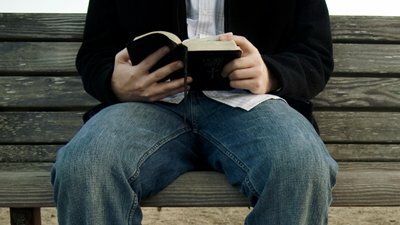 These organizations attempt to eliminate any access to and mention of anything remotely Christian to students and the general public. In 2016, after the Ark Encounter opened, the FFRF sent threatening letters to 1,000 public schools within driving distance of our attraction, warning them not to organize a school field trip. FFRF implied a legal threat if they did. In 2018, a local atheist group connected to AA sent threatening letters to public schools in three counties, making similar threats. In 2017 and 2018, FFRF sent more threatening letters to various state parks and recreation departments that had scheduled trips to our two attractions. Bus tours from Illinois and Virginia cancelled because of these implied legal threats. In January 2019, AA sent letters to state parks and recreation departments in Alabama and North Carolina, bullying them with implied legal threats if their bus tours—that were already planned—kept the Ark and Creation Museum in their itinerary. Also in January, FFRF again sent letters to 1,000 public school districts in five states in an attempt to intimidate the schools (with an implied legal threat, per their modus operandi) and bully them into not allowing any field trips to the Ark and Creation Museum. We decided to respond to this latest fear-mongering by the FFRF and AA for two reasons. First, we must boldly stand up for the religious freedoms afforded us by the First Amendment to the US Constitution. If we don’t take a stand, then such freedoms can easily be lost. Second, we responded for the sake of doing all we can to allow as many people as possible to hear the message of God’s Word. We must do whatever we can to counteract these bullies. Yes, we recognize God is in control, but human responsibility works hand in hand with God’s sovereignty (as we see in Scripture). 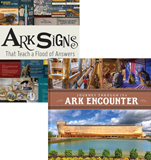 We sent letters to superintendents of Kentucky’s public schools offering free admission to the Ark and Creation Museum for any officially organized public school field trip. We detailed their clear legal right to do this. AiG also included a letter from a constitutional law expert outlining the correct interpretation of the First Amendment and reminding the schools of the constitutional rights of their students. We published these letters on our website and sent press releases to the Christian and secular media, announcing free admission for any public school in the USA to visit.1 AiG also used various social media. One of our constitutional law experts, Nate Kellum from the Center for Religious Expression, mailed letters to the same state parks and recreation departments to let them know their true legal rights regarding public bus tours. If public schools were bringing students to the Ark and museum and declaring, “THIS interpretation is the only real truth that you should personally accept,” then that would be a violation of the Establishment Clause [of the Constitution]. If classes are coming to the museum or Ark in an objective fashion, however, to show students world-class exhibits and one group’s interpretation of the origin of man and earth history, then the field trip is just fine as an exceptional and voluntary educational and cultural experience. Ultimately, it’s possible to attend the Creation Museum or Ark to teach rather than preach and to educate rather than indoctrinate. This type of meritless contention is often asserted by FFRF. They frequently resort to fearmongering to coerce schools into conformity with their hostile views toward religion. Their unabashed goal is to exclude religious persons and entities from public life and view. But, as usual, FFRF’s arguments hold no legal weight. We have thoroughly reviewed the situation and can state unequivocally that mere organization of a field trip to facilities owned by a religious organization is constitutional. Indeed, such drastic action in promulgating a blanket prohibition on field trips to anything with a religious connotation would encroach on the constitutional rights of the students, depriving them of opportunity to experience, engage with, and even challenge, other perspectives. 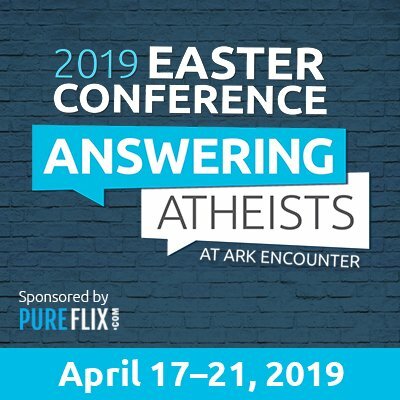 We have recently learned that you received a threatening and demeaning letter from American Atheists (AA) demanding that you immediately cancel a planned visit to the Creation Museum and the Ark Encounter—or else. AA claims that your efforts in organizing visits to these attractions violates the Establishment Clause due to the religious motivations of the parent organization, Answers in Genesis. After reviewing the situation, we can state with certainty that the planned trips of your department are well within constitutional bounds. The First Amendment does not preclude public entities from organizing trips to attractions that happen to have religious connotations or are owned by religious individuals or entities. It's exhausting to read what I’ve just outlined above! This sort of battle with secularists has been going on since we began AiG—in fact, since I started speaking on creation-apologetics in 1975! It would be easy to tire of this, but we’re in a major spiritual battle, and AiG won’t retreat. I often think of what Jesus taught us in the parable of the ten minas: “Engage in business until I come” (Luke 19:13). And yes, I’m glad we are facing these battles day after day. If we weren’t engaged, I would be questioning whether the AiG ministry was actually being effective! Why would those people who don’t believe in God, reject his Word, and believe that when they die they’ll cease to exist even bother fighting Christians like those of us at AiG? There’s only one answer—deep down, they know the truth! Romans 1 makes that very clear. Yes, it’s a spiritual battle. God’s Word also makes it clear that in a world where there are more souls on the broad way than the narrow way, there will be opposition. And yes, I’m glad we are facing these battles day after day. If we weren’t engaged, I would be questioning whether the AiG ministry was actually being effective! I'm asking you to continue to pray for us—and we will pray for you. We’re all in this battle together. Our ministry depends on your support to spread the good news of the gospel.